Today is the first day of the Orkney Nature Festival , a nine day celebration of Orkney's wonderful wildlife and rich natural history. 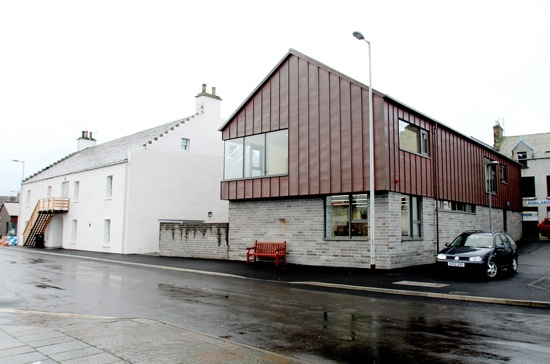 You can see the full programme of festival events here and our Reader in Residence, Alison Miller, has blogged about the Orkney Library and Archive's involvement in the festival. – in the middle of the RSPB Orkney office! Find a wealth of marine treasure – and some things a bit less precious – as well as learning more from seashell expert Alastair Skene. You’ll see everything from the geriatric Arctic Cyprine, who may have been filtering seawater when John Rae was setting sail to the Arctic, to the microscopic components that make up shell sand. We’ll have a display of whale bones and strandline material and if you have a mystery marine object that you’d like identified, please bring it along. There’s also a big message from Orkney school children about the perils facing the world’s oceans and our Orkney beaches from marine litter... you’re sure to ‘pick up 3 pieces’ when you’ve heard what they have to say. Then from 2.30pm - 4.3-pm you can find out about Crustacean conservation and enjoy a crabby buffet at The Ferry Inn. Tickets for this event cost £10 and can be booked through The Ferry Inn, by calling 01856 850280 or email info@ferryinn.com. The day finishes with a real treat when former Storyteller-in -Residence, Ian Stephen returns to Stromness for an evening of poetry and tales of his adventures sailing around Orkney and other Scottish islands. We are delighted to see Ian back in Stromness for this event, which takes place at Stromness Academy in the Upper Library at 7pm, and are looking forward to hearing more from this talented poet and storyteller.